Originally hosted by Melissa from i swim for oceans, Smash & Kt took her original inspiration, and made it their own, expanding it to more than just books. Let’s get personal (but respectfully so) and learn more about one another! Each week, a different question will be posted along with a place to link up your posts and visit other people’s responses. This meme is definitely meant to bring out conversation and meet new people. So, Let’s Talk! I almost forgot this meme started today! I wanted to give it a roll..so here we go! Be honest, do you ever get embarrassed by some of the posts from when you first started blogging due to the lessor quality? Yes, growth and experience is natural, but do you ever get the urge to go back and “fix” things? I'm still a newbie but wowza, YES. I think of the first posts..the first reviews and I want to go back and delete things. I haven't yet. I probably won't. If I had the time or the gumption I'd go back and fix the formats of the very early reviews. That's a big IF. Maybe embarrassed isn't the right word for me. I've had fun finding my way, finding my voice. It's a work in progress! Being able to look back at your old posts & seeing how far you've come is one of the best parts of blogging, I think. Don't delete! This is a great question! I have looked back at my old posts and deleted a few. Cass is right though; it's better not to delete old posts and look back to see your development over time. My first posts are terrible. But, I love to look back at them anyway, to see how I've sort of.. found myself... if you will. This is a nice meme. 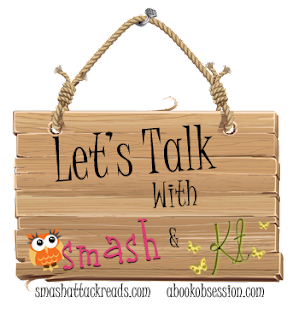 I host Sharing Beyond Books Comment discussion on Saturday evenings. It has a good following although no one seemed eager for another meme so it isn't a link up. I had started reviewing a bit before I started blogging. But there has definitely been growth. :-) I would keep those old posts as it gives a bit of a journal journey. Happy blogging! I won't delete! I promise :) I almost look forward to the cringing I'll do when I look back a year or two from now! Oh yes, I have thoght about change some reviews a lot of times, but finally I didn't (until now, at least). I created my blog 4 years ago, so the difference between the actual reviews and the earlier ones is huge. Now I'm trying to create a blog in English (to practice my reading and writing) and I imagine how different it could be in a few months!! But I think that it's possitive to leave them and check from time to time your improvement, right?